Every nurse has an event in their career that changes the way they practice nursing— An experience that moves them to tears or ignites their soul. 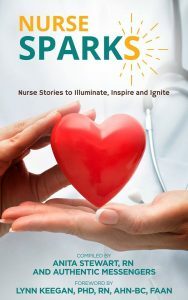 In Nurse SPARKS, I share an essay that adds to a collection of sixteen stories from nurses from all areas of the profession. My contribution is entitled “Conscious Archetypal Energy and Healing”. This entry includes a story that demonstrates how to use an archetypal tool and its images in a counseling session. I start my contribution with the following quote from my book, Gaining Archetypal Vision: “The ability to recognize yourself in the archetypes is at the foundation for competence with tools that make use of the archetypes. Only when you begin to identify archetypal patterns and their expressions in your own life can you hope to use the tools that work with archetypes in a therapeutic session.” I offer a story about my young self, searching for meaning and finding a huge spiritual answer. Then I show how to use Tarot cards and their archetypal images in a counseling setting. It is easy to understand because I detail the card images and the client’s reaction to the counseling and her amazing insights. In Nurse SPARKS, you will meet other nurses who are pioneers in this healing profession. Through candid, dynamic and dramatic stories, they will share their passion for an occupation that creates positive change in the world on a daily basis. Nurse SPARKS is filled with the stories of nurses from across the nation; stories that reveal what it feels like to be working in a field that takes all of your heart and soul on a daily basis. A career that sometimes takes one to their knees and sends one home crying, exhausted, and spent of all energy. But also one that uplifts, opens the heart, and inspires. I am indebted to my friend Lynn Keegan, PhD for graciously extending her writing talents for our collective forward in the book, which she begins with: “Nurses are the heart, soul, and backbone of the American healthcare system.” They sure are! Thank you Lynn! My gratitude also extends to Barbara Dossey, PhD who took time from her busy schedule to write the following endorsement. Thank you Barbie! Lynn and Barbie are co-authors of the award winning text book for holistic nursing entitled Holistic Nursing: A Handbook for Practice. Then there is our fearless leader in this endeavor Anita Stewart, RN. 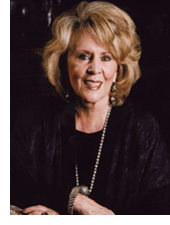 She spent hours, e-mailing nurses, interviewing potential nurse writers and eventually reviewing all of our essays. She compiled our work in one powerful book. Here she is at the American Holistic Nurses Association book signing. Anita is second from left, seated next to Marina Ormes, director of the Oregon Holistic Nurses Association. 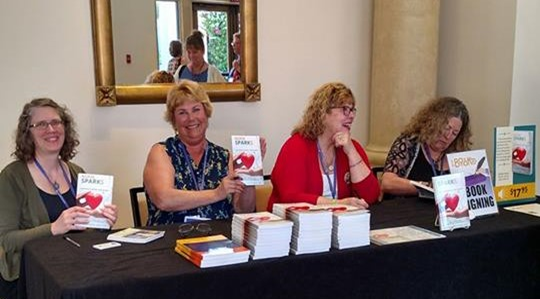 The two nurse-authors on the right are Ruth Kent and Gail Jett. Great work Toni. You make a difference in the world!